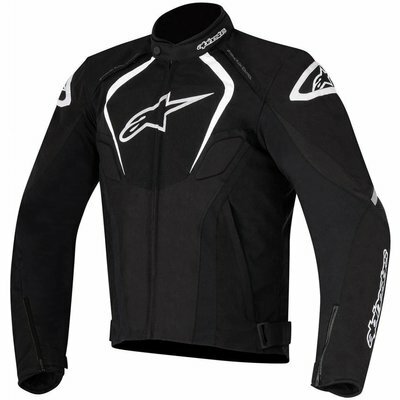 Stand alone jacket or extra thermal liner under your Alpinestars jacket. The lightweight Vision Thermal Liner is designed to be worn on its own or under a riding outer garment and can be conveniently packed away. Providing excellent thermal capabilities thanks to advanced insulation technology, the Vision incorporates stretch panels for movement and comfort while zippered pockets provide peace-of-mind storage of valuables. • Incorporates an advanced PrimaLoft® Gold Insulation Eco for excellent warmth-to-weight ratio. The material’s advanced ultra-light fibers trap heat while insulating from cold and are water-resistant which in turn ramps up their thermal capabilities, maintaining 98% of warmth. • Strategically positioned stretch-panel improves flex and fit as well as working in conjunction with outer garment’s stretch inserts. Advanced poly-fabric thermal liner jacket that is optimized to be worn on its own or to fit seamlessly under an outer garment. • Peace-of-mind storage of valuables thanks to a zippered chest compartment and two side pockets. • Soft microfiber collar and sleeve cuffs for excellent skin-touch comfort. • Incorporates hydration compartment water bladder (as an accessory upgrade). • Reflective detailing for improved visibility.